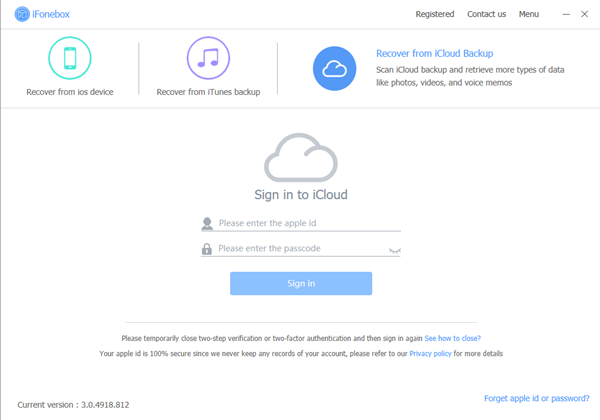 How to retrieve data from iCloud without restoring iPhone? How to retrieve data from iCloud without restoring iPhone? How to recover data from iCloud without restoring iPhone? Is there any way to retrieve only videos from my iCloud backup? Thanks!!! iCloud backup keeps your valuable data safe and recoverable in the event of a device disaster like accidental deletion, update failure,iPhone lost, broken, stolen or otherwise damaged. Go to Settings > General > Reset > Erase All Content and Settings. After your device is erased, you’re allowed to restore data from backup either in iTunes or iCloud. However, backups usually tend to be large and require long waiting times for their installation to complete. The process then can be tedious and prone to unexpected interruptions that may result in further loss of data. If you don’t want to wipe out any existing data on your device, I think you can turn to iFonebox to retrieve data from iCloud without restoring iPhone. 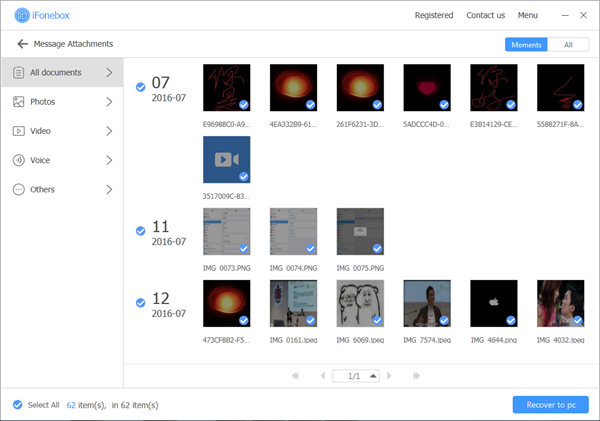 Why Choose iFonebox To Recover Data From iCloud Without Restoring iPhone? iFonebox is the quick, safe and complete software to regain data from iCloud without restoring iPhone for you. It can be of great help if you don’t want to restore completely from iCloud backup, as it can divide the backup into various categories by file type and present previews of files before recovery. How amazing! Can’t Miss: Restore lost WhatsApp messages from iTunes backup selectively. iFonebox works exceptionally well on almost all iOS devices, there is no need to worry too much if your device is compatible with our program. However, it is considerably necessary to opt for the right version for your computer. Click specific item to start scanning automatically. Please wait in this stage patiently and the duration depends on the amount your device have. It’s time to get your missing data back, all you need is select the information you want and click the Recover to PC or device directly, then the task is accomplished.